Why Choose Nissan Over Hyundai, Kia, Ford, Toyota, Honda, & Other Competitors? When you’re selecting your next car, you’re doing more than choosing a specific vehicle from an automaker. You’re choosing an automotive experience that can bring any number of benefits to your daily life. 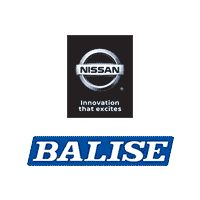 For drivers looking for the best in quality, value, safety, advanced and easy-to-use technology, not to mention head-turning style, Balise Nissan of Warwick is proud to present you with our lineup. On this page, you’ll find comparisons of our entire new Nissan line-up to other top vehicles in their respective classes. From Nissan SUVs to Nissan trucks and commercials vehicles, there’s a wide range of options. First, however, here are a few reasons our entire lineup stands apart from automakers like Toyota, Honda, Ford, Chevy, Kia, Hyundai, and Subaru. Unique, Modern Styling. Eye-catching looks has always been a hallmark of the Nissan brand. In recent years, they’ve sought to step it up with the new Energetic Flow design language, first seen on models such as the Murano and Maxima. With elements such as the floating roof, V-Motion grille, and boomerang headlamps, you won’t be mistaken for driving anything else than a Nissan vehicle. Competitive/Class-Leading Fuel Economy. Ensuring you spend less time at the pump is a must in today’s car market, and Nissan promises to deliver on virtually every model in its range. Models such as the Versa and Sentra garner 40 mpg ratings, while the all-electric LEAF EV garners a class-leading 107 miles of range. Safety Shield Technology. Virtually every model in the Nissan stable features technology that keeps you connected and aware. One of the most lauded features is Safety Shield, which utilizes a suite of sensory tech that monitors, responds, and protects you in a number of different driving conditions. These include AroundView Monitor, Forward Emergency Braking, Rear Cross Traffic Alert, and more. Impressive Quality. For three-quarters of a century, those associate the Nissan brand with impressive quality. Today, that includes upscale interior appointments, easy to use technology, and vehicles that are built to last. To ensure each model meets the brand’s high standards, Nissan houses a dedicated quality assurance team in numerous locations worldwide. State-Of-The-Art Technology. Every model in the Nissan lineup comes equipped with exciting innovations. Among them include the Xtronic CVT which provides quiet and quick acceleration without sacrificing gas mileage, Zero Gravity seats on select models for comfort on long drives, and other features. Reputation for Reliability. Ever since the automotive world began ranking cars on their reliability, Nissan’s lineup has always ranked at or near the top. If you’ve ever wondered why you’ve seen so many of the automaker’s older models driving around, this is part of the reason. Proud Racing Heritage. No other automakers can claim to have won more Sports Car Club of America (SCAA) races than any other builder. If you’re wondering how that translates to the models we offer in our showroom, look no further than sports sedans like the Maxima and Altima, and the absolutely incredible performance of the GT-R.
NissanConnect Infotainment. There’s no easier way to stay connected to your entertainment options and vehicle than NissanConnect. Boasting customizable alerts, remote access, and emergency preparedness, you won’t find another system like it on a non-luxury model. Lasting Value. Nissan’s models may be accessibly priced, but as any car buyer knows, there’s more to value than a low price tag. In fact, some Nissan models hold their residual value longer than some other well-known brands like Honda and Toyota.